11/11/2017 @ Sassella’s in Perth, Australia. 11/9/2017 @ Frank’s Wild Years in Thirroul, Australia with Last Leaves. 11/8/2017 @ Smith’s Alternative in Canberra, Australia with Last Leaves and Territory. 11/7/2017 @ Tanswells in Beechworth, Australia with Last Leaves. 11/6/2017 @ The Curtin in Melbourne, Australia with Last Leaves (album launch! ), The Leafblowers (Darren Hanlon + Stephanie Hughes), and Swim Team. 10/28/2017 @ Woodland Theater in Ballard with Zebra Hunt and A Certain Smile. 9/15/2017 @ KEXP Gathering Space in Seattle. Launch party for Olympia Coffee Roasters residency at La Marzocco Cafe. 6/18/2016 @ Sonic Boom Records in Ballard. 6/7/2014 @ Olympia Timberland Library with Calvin Johnson! 5/31/2013 @ Knitting Factory in Brooklyn, NY with The Monochrome Set, Cassolette, and The Very Most. NYC Popfest! 2/24/2013 @ Tractor Tavern with The Ocean Blue and Valley Fair. 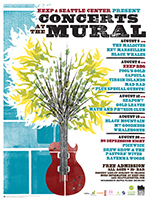 8/12/2011 @ KEXP Concerts at the Mural with Seapony and Gold Leaves. Listen to the full performance. 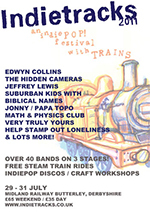 7/30/2011 @ Indietracks Festival in Derbyshire, England! 7/28/2011 @ The Chameleon, Nottingham, England, with Very Truly Yours, Pocketbooks, and The Sweet Nothings. Indietracks warm-up presented by A Layer of Chips. 7/27/2011 @ Windmill Brixton, London, England, with Very Truly Yours, Pocketbooks, and The Sweet Nothings. Indietracks warm-up presented by Spiral Scratch. 7/26/2011 @ The Castle Hotel, Manchester, England, with Very Truly Yours, Moustache of Insanity, and The Sweet Nothings. Indietracks warm-up presented by Pull Yourself Together. 7/25/2011 @ The Captain’s Rest, Glasgow, Scotland, with Very Truly Yours, Bubblegum Lemonade, and The Hermit Crabs! Indietracks warm-up presented by Half My Heart Beats. 6/4/2011 @ Northern (Olympia) with The Smittens, The Special Places, and Monnone Alone. 6/3/2011 @ The Rendezvous (Seattle) with The Smittens, The Special Places, and Monnone Alone. 10/29/2010 @ The Rendezvous with Allo Darlin’ and The Special Places. 6/12/2010 @ The Crocodile. 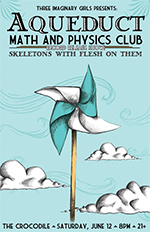 Three Imaginary Girls presents CD release show w/ Aqueduct and Skeletons with Flesh on Them. 5/30/2010 @ Rickshaw Stop. San Francisco Popfest w/ Cats on Fire, The Tyde, My Teenage Stride, and Devon Williams. Also at 2pm for outdoor show at Dolores Park! 4/10/2010 @ High Dive w/ Eux Autres. 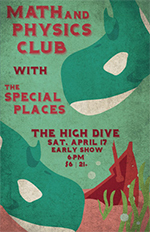 4/17/2010 @ High Dive w/ The Special Places (Corianton and Jenny from Tullycraft). 3/13/2010 @ Jigsaw Records in Ballard w/ D. Crane from BOAT. 6/13/2008 @ King Cobra w/ BOAT, Kate Tucker, and the Sons of Sweden, New Faces, DJ Danger Nun, and secret guests. Benefit for Noise for the Needy. 5/9/2008 @ Sunset Tavern. KEXP donors show. 12/4/2007 @ Neumos w/ Voxtrot and Tullycraft. 11/13/2007 @ KEXP 90.3 FM in Seattle. Listen to in-studio performance. 10/18/2007 @ Crocodile Cafe w/ Tullycraft and Patience Please. 9/24/2007 @ The Crocodile Cafe w/ The Lucksmiths, and Fred Astereo. EP release show! 9/22/2007 @ Red’s Espresso Cafe, Santa Barbara, CA, Matinee Recordings 10th anniversary soiree w/ The Lucksmiths, The Guild League (Tali solo), and Maria. 9/21/2007 @ El Cid, Los Angeles w/ The Lucksmiths. 2/17/2007 @ Town Hall Saturday Family Concert Series. 12/16/2006 @ China Clipper (in Oly, WA) w/ Tullycraft and guests (Lois!). 11/18/2006 @ The Vera Project w/ Eux Autres, BOAT and The Lonely Forest. 10/14/2006 @ Ballard Sonic Boom Records in-store performance. 10/14/2006 Record release show @ Sunset Tavern w/ BOAT and The Seaworthies. It should be a very nautical evening, indeed. 10/6/2006 @ Union Hall, in NYC w/ The Envelopes. 10/7/2006 @ Pianos, in NYC w/ The Icicles. 10/8/2006 @ The New England Popfest, Northampton, MA. 6/18/2006 @ The Fremont Fair – YMCA Fusion Café Emerging Artists Stage. 6/1/2006 @ The Crocodile Cafe – Celebrating 15 years as hallowed ground w/ Ghost Stories, Young Sportsmen, and Panda & Angel. 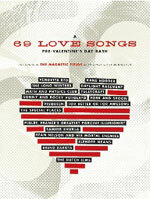 2/9/2006 @ The Crocodile Cafe – Three Imaginary Girls & KEXP 90.3 & Barsuk Records present: 69 Love Songs Pre-Valentine’s Day Celebration! 1/4/2006 @ Seattle Art Museum w/ Central Services. 12/13/2005 @ The SS Marie Antoinette w/ Calvin Johnson and Tender Forever. 12/10/2005 Seattle Twee/Pop Fest @ Chop Suey w/ Lillydale, Half Acre Day, and Dept. of Energy. 11/5/2005 @ The 1st Annual Bellingham Popular Music Festival – Pickford Dream Space. 11/6/2005 @ Eagles Hall ballroom in Olympia w/ Rose Melberg and P:ano. 10/1/2005 @ Neumos – “John in the Morning at Night” KEXP benefit show w/ M83, The National, Athlete, John Vanderslice, and Clap Your Hands Say Yeah. 9/4/2005 @ Bumbershoot festival in the EMP Sky Church. 8/18/2005 @ The Seattle Art Museum Art Out Loud. 7/28/2005 @ Chop Suey w/ Salteens and Tullycraft. Our new EP is ready, come help us celebrate! 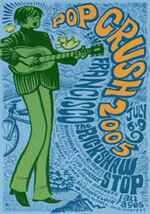 7/9/2005 @ San Francisco Popfest 2005 Pop Crush @ the Rickshaw Stop w/Autocollants, Voxtrot, Remedy n Wren, and more. 6/3/2005 @ Neumos w/ Rogue Wave and The Long Ranger. 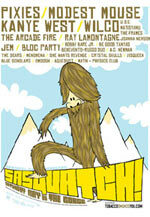 5/28/2005 @ Sasquatch Music Festival, The Gorge w/The Pixies, Modest Mouse, Visqueen, Wilco, Smoosh and so many other great bands! 5/20/2005 @ The Crocodile Cafe – the Stanger, KEXP and Sonic Boom present a Benefit for Pete Greenberg: Sean Nelson, Bell Herzog, Darren Loucas, and John Hollis will perform The Who’s classic 1969 rock opera Tommy. 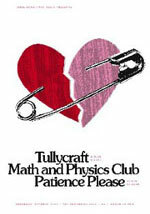 5/4/2005 @ Sunset Tavern w/ The Lucksmiths and the mighty Tullycraft! 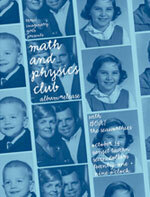 4/30/2005 @ Rickshaw Stop, San Francisco w/ The Lucksmiths, Remedy n Wren. 4/29/2005 @ Knitting Factory, Los Angeles w/ The Lucksmiths. 4/9/2005 @ Ballard Sonic Boom Records in-store performance. 3/9/2005 @ KEXP 90.3 FM in Seattle. Listen to in-studio performance. 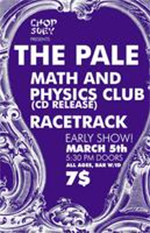 3/5/2005 @ Chop Suey w/The Pale Pacific and Racetrack. EP Release show! 2/20/2005 @ The Crocodile Cafe – Three Imaginary Girls present “An Imaginary Wedding Reception” w/ Tennis Pro, Pleasurecraft, and The Jeunes. 1/29/2005 @ The Clipper in Olympia w/ The Valentines, The Conversation Heart, and Jenny Jenkins. 1/28/2005 @ Sunset Tavern w/ Cantona. 1/22/2005 @ KEXP 90.3 FM in Seattle. Live in-studio performance. 12/28/2004 @ The Crocodile Cafe w/ The Conversation Heart and Treasure State. 8/16/2004 @ The Hideaway w/ Sweetness, Augustus Sweetheart, and Via Ventura. Our first live show!